Most photography enthusiasts will know this feeling. It’s a gamble, … it’s half an hour before sunset, … and there’s half an hour travel involved. The clouds may or maybe not behave. Pictured above, the sunset went off like a charm. This image is available to purchase as a print in many forms and sizes here at Redbubble and here at Zazzle. Pictured above, just prior to the sun dropping below the horizon a break in the clouds allows beautiful long shadows to be cast across the sand. This image is available to purchase as a print here at Redbubble and here at Zazzle. Pictured above, a great behind the scenes shot, courtesy of Sally. A few long exposure sunset images from the jetty at Safety Beach on the Mornington Peninsula. A great spot to relax and watch the clouds roll across Port Phillip Bay. The image above, “A Wild Evening at Safety Beach” is available to purchase as a print here. The image above, “Imminent Sunset at Safety Beach” is available to purchase as a print here. The image above, “Safety Beach Sunset” is available to purchase as a print here. Last weekend we visited the new jetty at Olivers Hill in Frankston on the Mornington Peninsula. As the sun dropped down towards the horizon the sky exploded in a way that we really didn’t expect. It seems that predicting a colourful sunset in Melbourne is a bit like predicting the outcome of a coin toss. 🙂 These are short exposure shots using my phone camera as I left the “big boy”at home. The rusting remnants of The Briars tractor at Mt Martha on the Mornington Peninsula. The image above is available to purchase as a print in many forms and sizes here. Grantville is a small coastal town on the east coast of Western Port bay in Victoria, Australia. The jetty at Grantville usually stands in relatively shallow water at high tide, and at low tide it stands proud on a bed of mud. During a “king tide” the water can sometimes cover the walking platform at the end of the jetty as seen here. Following are a couple of long exposure images taken at sunset during high tide. Tech stuff for the image below – 157 sec f/18 ISO100 using an ND400 + ND8 filter. This image is available to purchase as a print here at Redbubble and here at Zazzle. Pictured below – Grantville jetty as the sunset fizzled out. Tech stuff – 152 secs f/18 using an ND400+ND8 filter. This image is available to purchase as a print here. Pictured below – A selfie from the end of the Grantville jetty at low tide. Mud as far as the eye can see. 🙂 This is a short exposure HDR image. It’s available to purchase as a print here. A long exposure shot from the beach at The Pinnacles rock formation, Cape Woolamai, Phillip Island. Technical stuff – 30 secs f/10 ISO50 using an ND500 filter. The image above is available to purchase as a print in many forms and sizes here at Redbubble and here at Zazzle. Eagles Nest is a popular rock formation and beach located on Victoria’s Bass Coast. It’s about half way between Inverloch and Cape Paterson, and it’s well sign posted. Technical stuff for both images – 150 sec f/18 iso50 using an ND500 and ND8 filter. The image above is available to purchase as a print here. Another sunrise expedition to the groynes at Balnarring Beach on Western Port Bay. This time we visited the straight groynes on the beach near the general store. The image above was shot just before the sun broke through the clouds on the horizon. It’s a 2 second exposure, slightly smoothing the surface details in the water. This image is available to purchase as a print here. Pictured above – A short exposure as the sun breaks through the clouds. I liked the way the reflected sun rays were glinting off the waves and the foreground sand. This image is available to buy as a print here. Pictured above – As the sun rises higher in the sky, one of the groynes becomes beautifully side lit by the warming rays. This is a short exposure (1/20 sec f/18 iso100) shot with the camera way down low almost resting on the sand. This image is available to purchase as a print here. Pictured above – Friend Jason preparing for his next shot as the sky lights up. A couple of dawn shots from the zig-zag groyne at Balnarring Beach on Western Port Bay. Tech stuff – 10 secs, f/8, iso 100, using a 10 stop and 4 stop soft grad ND filter. For those who might be interested in photographing the groyne, it’s easily accessible. Park at the end of Seawind Rd, Balnarring Beach. It’s a short walk down to the beach then turn right. There are also a few straight groynes off to the left. The image above is available to purchase as a print in many sizes and forms here. Tech stuff – 13 secs, f/8, 10 stopper and 4 stop soft grad. A wave explodes against rocks at Bore beach, San Remo. To access Bore beach park at the end of Potters Hill Rd and follow the stairs down onto the beach. This image is available to purchase as a print here. Tech stuff – 0.8 secs f/8 ND400 filter. Picture above – A long exposure image from Montforts beach, Blairgowrie, on the Mornington Peninsula. Montforts beach can be accessed from the carpark at the end of Spray Point Road, Blairgowrie. Take the path to the left. This image is available to purchase as a print here. Tech stuff – 10 secs f/13 using a 10 stop solid ND filter and a 4 stop soft grad. Picture above – A long exposure shot of the Bunny Rock’s close companions at Montforts beach. This image is available to purchase as a print here. Tech stuff -30 secs f/11 using a 10 stop solid ND + 4 stop soft grad filter. A long exposure shot taken near sunset at Tenby Point on Western Port Bay. Tech stuff – 123 secs at f/16 using a 10 stop solid ND and 4 stop grad ND filter. This photo is available to purchase as a print here. An early morning long exposure from Point King, Portsea, on the Mornington Peninsula. 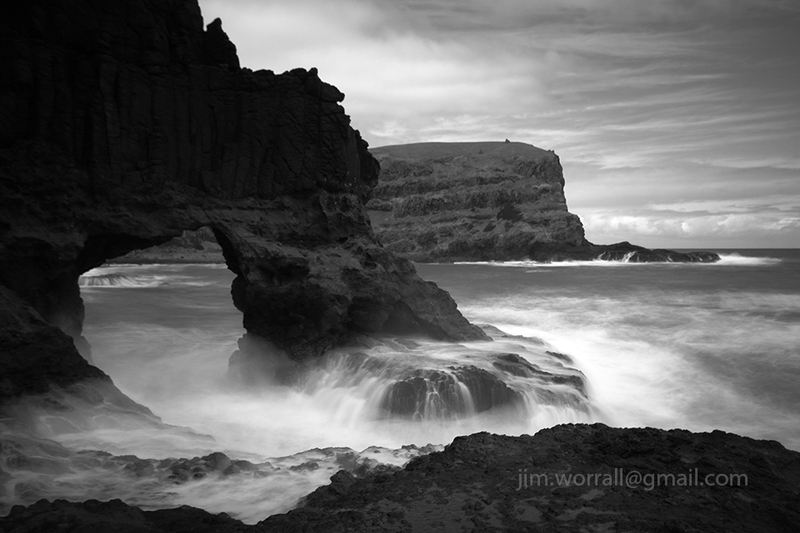 Tech stuff – 30 seconds at f/8 using an ND400 filter. A couple of long exposure images from Bridgewater Bay, Blairgowrie, on the Mornington Peninsula. Picture below – a 20 second exposure at f/16 using a Hoya ND400 filter. This photo is available to purchase as a print in various forms and sizes here. Picture below – A random visitor on the beach stands relatively still under the “bridge”offering some size perspective during a 13 second exposure . A long exposure sunrise image from Sullivan Bay, Sorrento, on the Mornington Peninsula. The iconic jetty has recently started to fall to bits. I suspect she wont be around much longer. Tech stuff – 25 seconds f/18 ND400 filter. This photo is available to purchase as a print in various forms and sizes here. 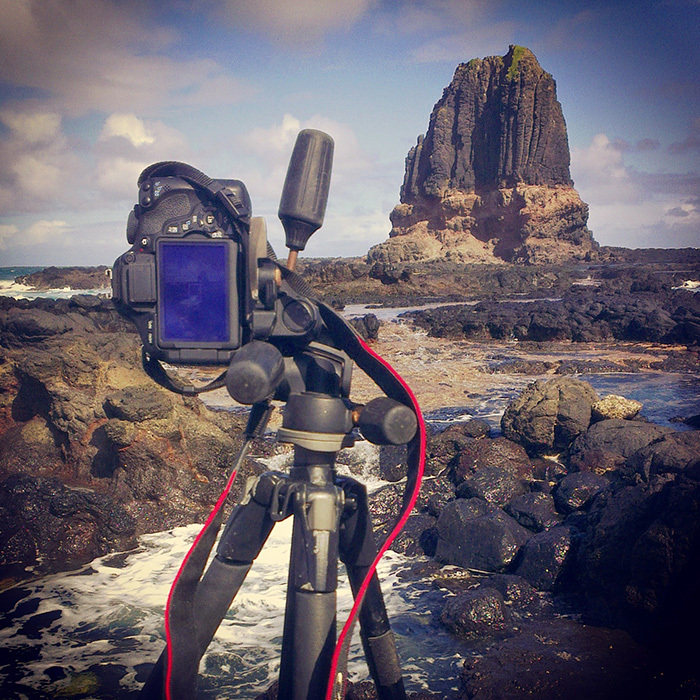 Pulpit Rock at Cape Schanck, on the beautiful Mornington Peninsula. Tech stuff – 2.5 secs f/20, 4 stop soft grad – tonemapped image. Tenby Point is a coastal village sitting on the eastern side of Western Port Bay, about half way between Grantville and Corinella. The jetty remnants are best visited near high tide when water surrounds the base of the posts. When the tide recedes here it goes WAY out leaving the posts sitting in an unattractive bed of mud. Tech stuff for the image below – 260 secs at f/13, ND400 + ND8 filters. Tech stuff for the image below – 205 secs at f/14, ND400 + ND8 filters. 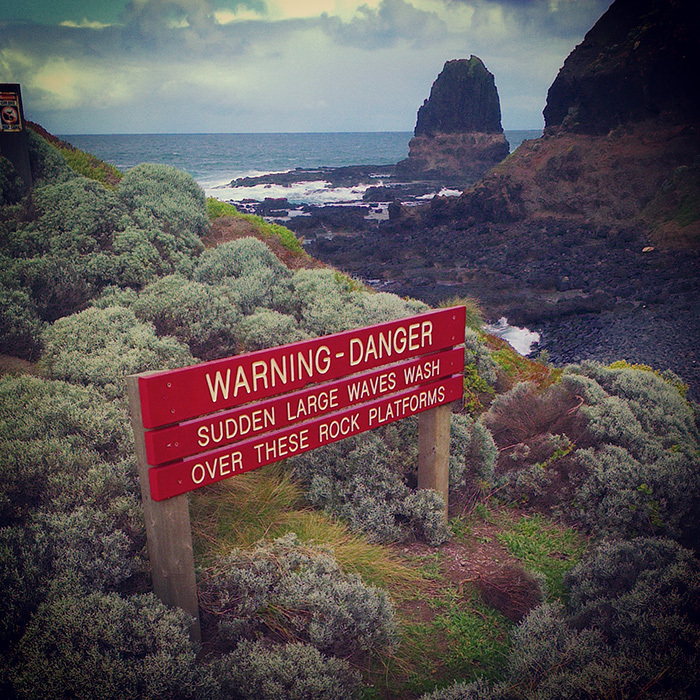 The “splash zone” at Bushrangers Bay, near Cape Schanck on the Mornington Peninsula. The photo above is available to purchase as a print in various forms and sizes here. A long exposure shot from Shelley (Shelly) beach in Portsea. Tech stuff – 180 secs f/18, 10 stop solid ND + 4 stop soft grad ND. This image is available to buy as a print in various forms and sizes here. Sometimes we don’t realize what we have until we view it through different eyes. Tech stuff – 60 secs @ f/16, 10 stop solid ND + 4 stop soft grad. Last weekend we had our ND group excursion for beginners. It was a great turnout with lots of enthusiastic people attending. We started shooting at Bridgewater Bay in Sorrento in very difficult conditions with the wind blowing a continuous mist of fine rain onto our lenses. I was both surprised and delighted that so many people stayed and had the patience to put up with these conditions, …..such a dedicated bunch. 🙂 Many thanks to Jason Cincotta and Michael Stringer for assisting with so many ND newcomers. Later we moved onto the front beaches at Point King, Sorrento, followed by Shelley beach, Portsea , both providing us with much more friendly shooting conditions. Pictured below – Point King jetty. Tech stuff – 132 secs f/18. This photo is available to buy as a print in many forms here. Pictured below – Shelley beach, Portsea. Tech stuff – 60 secs f/18. This photo is available to buy as a print in many forms here. Pictured below – Shelley beach, Portsea. Tech stuff – 136 sec f/18. 10 stop ND + 4 stop soft grad. This photo is available to purchase as a print here. Pictured below – Most of the crew from the group excursion, Bridgewater Bay. For those unfamiliar with groynes, a groyne is a low wall or timber barrier built out into the sea from a beach to prevent erosion. On a previous visit to photograph this groyne the tide was unexpectedly low and yielded images that weren’t quite what we were looking for. This time I made sure to arrive at peak high tide and waited for the tide to recede and reveal just enough of the groyne to catch these images. A local resident told me that the zig-zagging planks aren’t always visible and that they’re sometimes completely covered by sand with only the posts exposed. For those who might be interested in photographing the groyne, it’s easily accessible. Park at the end of Seawind Rd, Balnarring Beach. It’s a short walk down to the beach then turn right. 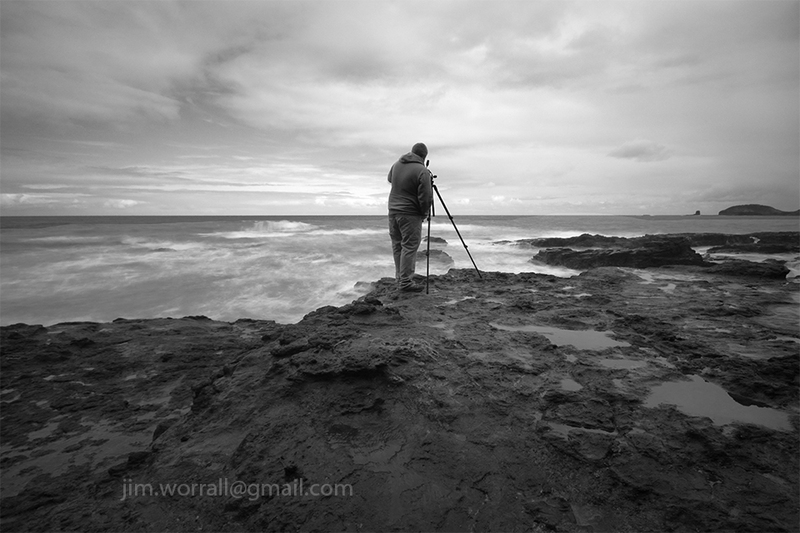 Tech stuff – 25 secs @ f/9 using a 10 stop solid + 4 stop soft ND grad + polarizer. The image above is available to purchase as a print in many forms and sizes at my Redbubble site here. Tech stuff for the image below – 13 secs f/9, NiSi 10 stop solid + 4 stop soft grad + polarizer. A long exposure shot from the base of Jubilee Point at Sorrento on the Mornington Peninsula. Tech stuff – 4 secs at f/16 using an ND400 filter. This image is available to purchase as a print in many forms and sizes here. Pictured above – The iconic tree “Ol’ Woody” and his mate, …… blowing in the wind at Tenby Point. Tech stuff – 30 secs f/20 ND400. Pictured above – Erosion prevention (I’m guessing), at Tenby Point. Tech stuff – 30 secs f/10 ND400. A daytime long exposure photo from Sullivan Bay, Sorrento, on the Mornington Peninsula. Tech stuff – 66 secs f/13 using ND400 + ND8 filters. This image is available to purchase as a print at my Redbubble site here. Jetty at Sullivan Bay, Sorrento. Ahh, ….the serenity. Some daytime long exposure shots from one of the groynes at Balnarring beach on Western Port Bay. Above image – 0.8 secs f/16. This image is available to purchase as a print here. Above image – 65 secs f/16 ND400+ND8. This image is available to purchase as a print here. Above image – 55 secs f/16. This image is available to purchase as a print here. Pictured below, a pre-dawn long exposure shot from Bridgewater Bay in Blairgowrie on the Mornington Peninsula. Bridgewater Bay is accessible via a short walk from the carpark at the southern end of St Johns Wood Rd. Beach access is via a set of stairs. The best time to visit is at or near low tide when the rock platforms are exposed. Navigating the beach at high tide is problematic. This image is available to purchase as a print in various forms and sizes here. Pictured below, me shooting the bridge rock formation. Photo courtesy of friend Jason Cincotta.